elobeatlesforever: Chart Tragedy: What Went Wrong with Zoom? When Jeff Lynne abruptly purchased Bev Bevan's share of the ELO brand, name and rights in November 1999, it opened the door for the ELO maestro to embark on another electric light fantastic journey with a band not only underpinned by his acclaimed songs, production and musicianship but now his 100% ownership. It also put fans on notice of the potential recommencement of new Electric Light Orchestra material whilst also signalling the eventual transition of ELO Part II into The Orchestra. Within a year "Flashback" - a 3CD career anthology - had been released to rave reviews with hints of a new album circulating in fanzines and a world largely devoid of Facebook, Twitter and other social media. Thinking that Jeff's ELO career was over, many fans had been expecting a second solo album to follow up the modest chart success of "Armchair Theatre" in 1990 but his various production projects during the nineties with the likes of Tom Petty, Julianna Raye, the late Roy Orbison, Paul McCartney and (of course) The Beatles likely meant that it remained incomplete and shelved. So when news of a new ELO album - the first since "Balance Of Power" in 1986 - surfaced in the early part of 2001, the ELO fan base got excited. Who would it feature? What would it sound like? Yours Truly KJS still remembers when Sir Terry Wogan aired "Alright" as announced it as "the new ELO single" on his then BBC Radio 2 Breakfast Show in May 2001. New album "Zoom" followed in June. My initial reaction upon first play was that "Zoom" sounded more like a Jeff Lynne solo effort that an ELO record. In fact, I still recall renaming it "Armchair Theatre Part II". "Zoom" sported the familiar ELO logo and the artwork was appealing and impressive. 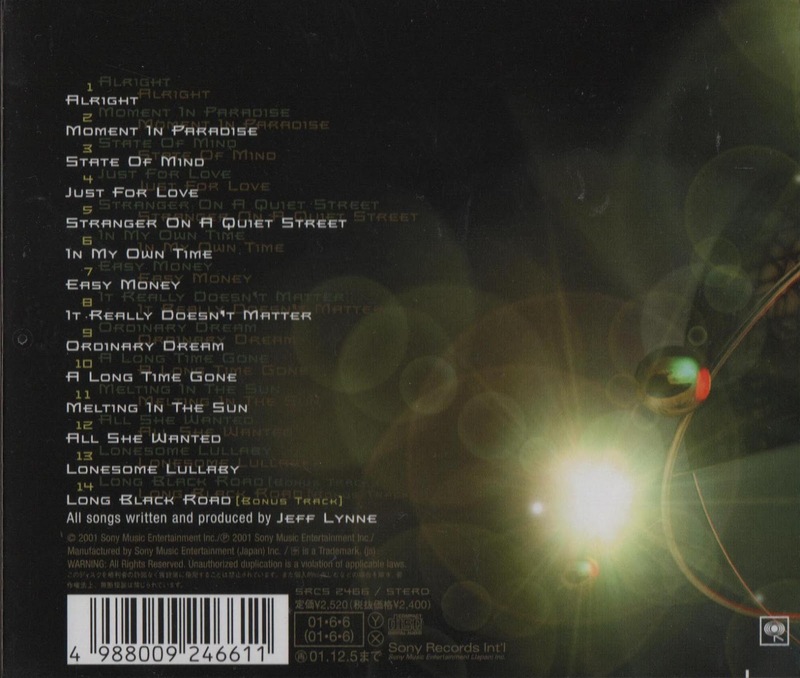 The familiarity of Lynne compositions and arrangements gave it an ELO feel in places but one could not escape the fact that this was Jeff plus a few famous friends, even though Richard Tandy appeared on one track. Essentially, that is what most reviewers said at the time too. It had the name of ELO but the sound of Jeff Lynne - an observation, not a criticism. Perhaps the strangest thing about the release of "Zoom" was the lack of promotion by both artist, management and record company - almost as if it had been presumed that it would pick up commercially where "Balance Of Power" left off. The casual record buying public in 2001 were very much different than that in 1986 and some ELO fans had long since moved on. I remember struggling to find a copy in my local HMV store. There was no attention grabbing display, like those that were found for the debut Electric Light Orchestra Part Two album in 1991 or the frequent TV adverts that elevated the "Very Best of ELO" compilation put out by Dino in 1994 to #4 on the Official UK Album Chart, their highest chart placing of the nineties. The tide was out at that time for ELO with a number of greatest hits packages permeated by the aforementioned "Armchair Theatre" (#24) and "Electric Light Orchestra Part Two" (#34). It was therefore ironic that "Zoom" peaked at the same chart position as ELO Part II's debut LP ten years earlier. Fast forwarding to a rainy night in November 2018 and writing this article for elobeatlesforever (elobf), my view and opinion of "Zoom" has softened somewhat over the years, especially with the 2013 reissue via Frontiers, its arrival on 2LP vinyl via Let Them Eat Vinyl in the same year and a new lease of life this year via Sony Legacy. 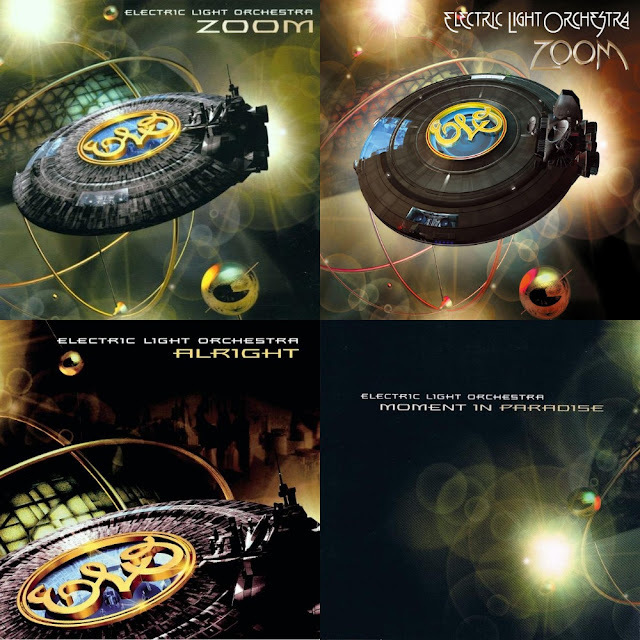 In fact, I am now of the opinion that "Zoom" resembles more of an ELO album as a whole than 2015's "Alone In The Universe", released under the different moniker of Jeff Lynne's ELO but essentially the same formula. So what went wrong with "Zoom"? The answer is that it was perhaps the right album at the wrong time or a mixture of both. 1. Too retro for THE YEAR 2000. 2. A lot of people were turned off the idea of another Jeff solo album, marketed as an ELO album, which is ARGUABLY was not. The time was just so much better a decade later after Mr. Blue Sky’s inclusion in the Olympics show and the target audience recognising their former guilty pleasure as one of the unspoken gems of pop music. I LOVE ZOOM = IF THE PROMOTION WAS DONE THE WAY A.I.T.U. STARTED IN THE UK = I THINK IT WOULD HAVE BEEN A DIFFERENT AND MORE SUCCESSFUL OUTCOME.TOO MANY FANS WANT ANOTHER OUT OF THE BLUE,WHICH WILL NEVER HAPPEN = A MASTERPIECE. Zoom was not a very good album. Also Jeff's attitude towards guys like Bev and Mik had set a lot of fans against him, particularly those of us who had followed ELO Part II over the preceding decade. I can't remember the last time I listened to the album.